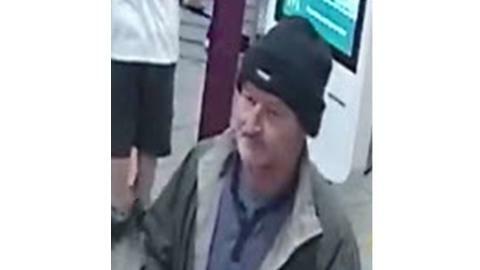 We would like to speak to him in connection with thefts in staff rooms at two cafes in The Square, Winchester. Wallets and purses were stolen from The Dispensary Kitchen and The Square café between 3.55pm and 4.40pm on Friday 30 November. Bank cards from the stolen purses and wallets were then used in Winchester and Eastleigh. These burglaries are being treated as linked. As part of our investigation, we would like to speak to the man in this CCTV image. Do you know him? Do you have any information about what happened? If you have any information, please contact us on 101, quoting reference number 44180450822.